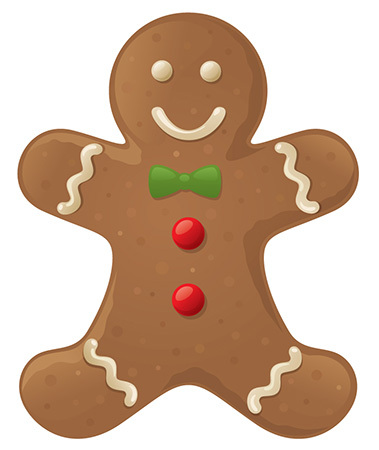 NaBloPoMo Day 8: Who loves a ginger? I adore everything ginger – it’s my favorite spice. Chewing on a chunk of sharp, sweet crystalized ginger; the smoky crumbly tang of a gingersnap melting over your tongue, the quench of a frosty glass of ginger beer, the exotic zest of an Asian marinade enlivening chicken or fish. It’s one of those flavors so evocative of Fall and Winter. 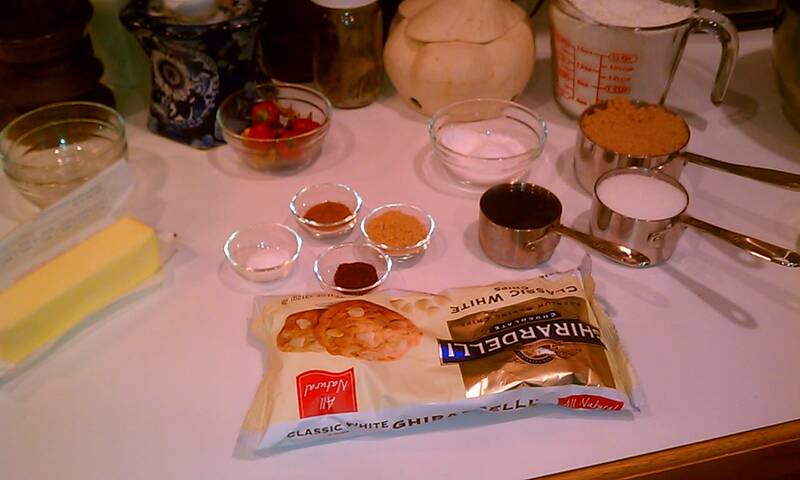 Inspired by a cozy fire and a crisp afternoon, I researched recipes until I came up with my own perfect combination of components for an extra spicy gingersnap paired with creamy white chocolate. These are inspired by the cookies Chef used to make and top with sliced pear, fig preserves and crumbled bleu cheese, an amazing combination of salty, sweet, smoky and spicy that explodes against your taste buds. A truly tantalizing treat. Combine the flour, baking soda, and spices in a mixing bowl and set aside. Cream the butter until smooth and fluffy. Add the sugars and mix. Add the molasses and mix. 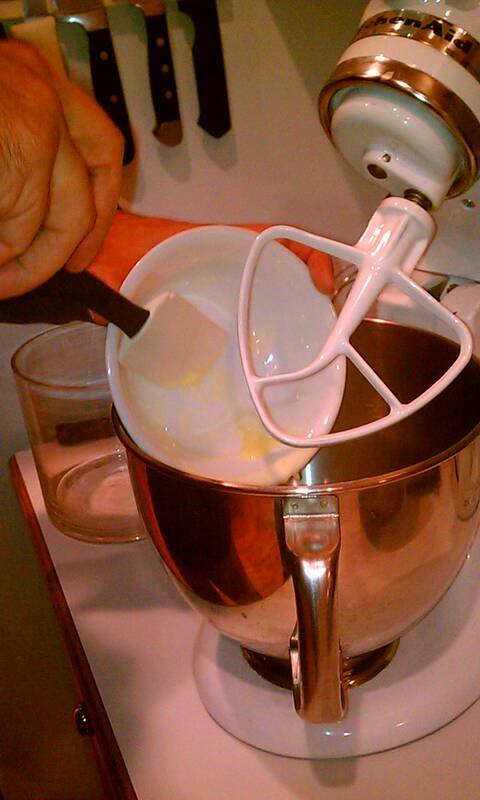 Add the egg whites in 2 batches, mixing to combine after each addition. Add the dry ingredients in three batches, mixing to combine after each addition. Fold in the chocolate chips and gently mix. Heat the oven to 350 degrees F. Spread a few tablespoons of granulated sugar on a small plate. 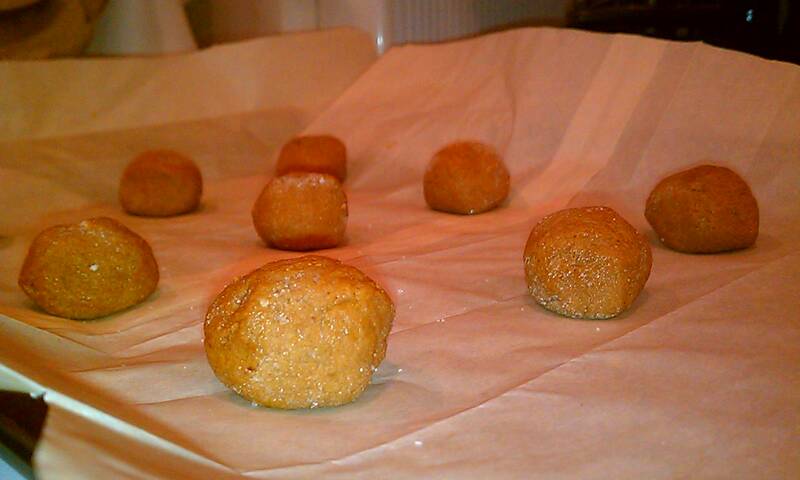 Roll the dough into 3/4-inch balls, then roll each ball in the sugar until lightly coated. Transfer to parchment lined cookie sheets, leaving 1-inch of space between the cookies. Bake until browned, 8 to 10 minutes. Let cool on wire racks and store in an airtight container. 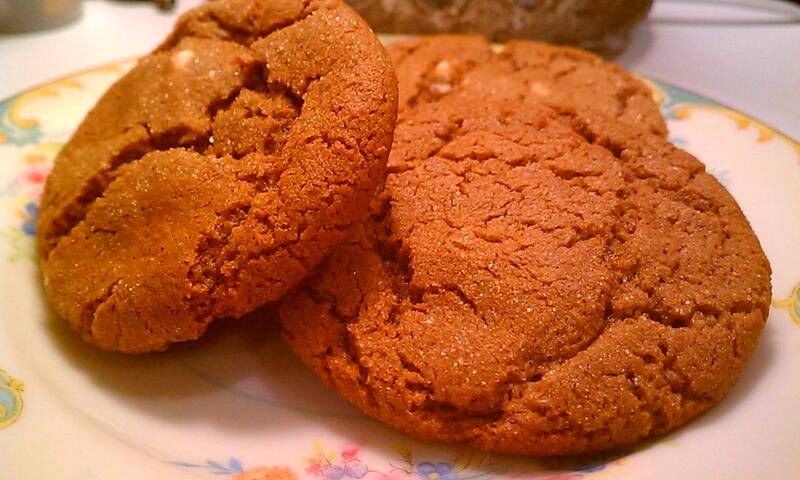 This entry was posted in Cooking, NaBloPoMo and tagged gingersnaps, nablopomo. Bookmark the permalink.